Dr. Eng’s research studies the use of physical rehabilitation to improve recovery for people with spinal cord injury and stroke. She also looks at the functional and neural changes that occur in these individuals. One of her current projects examines the intensity of rehabilitation that people take part in during a regular inpatient therapy session. Her team is measuring what patients do in physical therapy and occupational therapy, and track these patients to measure their activity each day. This information is collected with special sensors to record heart rate and movement, as well as from patient reports. Since it is well known that intensity of activity contributes to motor recovery, especially early after injury, her team will gain a better understanding of the base rehabilitation which patients participate in, and can start tailoring personalized rehabilitation activities to specific injury — not only during the structured time in therapy but also utilizing the time in the rest of the day. 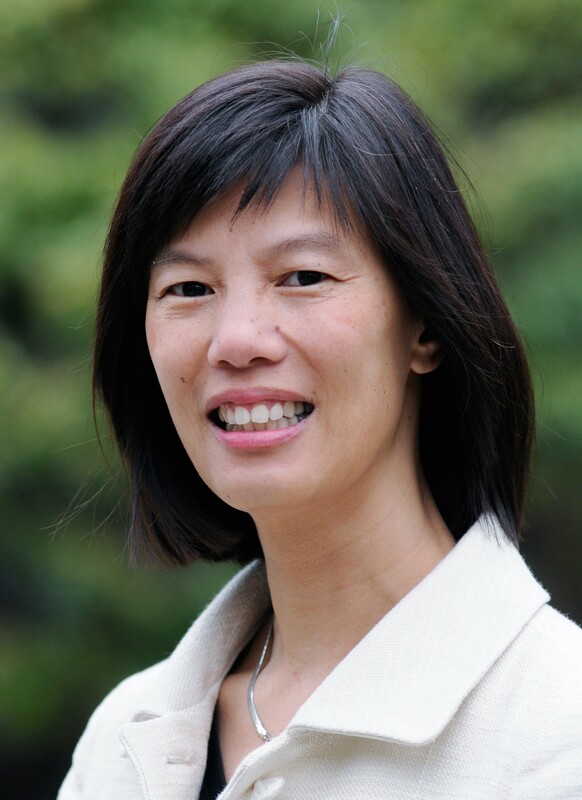 Dr. Eng is a Professor in the Department of Physical Therapy at the University of British Columbia and a Principal Investigator with ICORD, although she is primarily based at the GF Strong Rehabilitation Centre. She received her B.S.R. from the University of British Columbia, followed by an M.Sc. from the University of Toronto, and her Ph.D. from the University of Waterloo. Since her research is mostly focused on rehabilitation, having a centre allowing like-minded people with shared goals to collaborate within a single building is extremely beneficial. Dr. Eng is the lead investigator of the SCIRE Project which is a multi-domain, multi-group project working to synthesize research. The project’s goal is to bring together evidence underlying rehabilitation interventions worldwide, in an effort to improve the health of people living with SCI. It involves the Rick Hansen Institute, more than seventy researchers, and five rehabilitation centres around the world. With the Lyndhurst Centre at Toronto Rehab and the GF Strong Rehabilitation Centre, Dr. Eng is studying how much activity patients with SCI spend on rehabilitation in order to provide measurements used to tailor rehabilitation strategies. Dr. Eng works with UBC Brain Imaging as part of a brain imaging project. She will examine the brain activation in people with SCI and see how the brain changes in relation to recovery in the hand. SCIRE, Spinal Cord Injury Rehabilitation Evidence, is a Canadian research collaboration of scientists, clinicians, and consumers. SCIRE covers a comprehensive set of topics relevant to SCI rehabilitation and community integration. It reviews, evaluates, and translates existing research knowledge into a clear and concise format to inform health professionals and other stakeholders of current and emerging best practices following SCI. This synthesis also enables relevant decision-making in public policy and medical practices. In addition, clear evidence-based reviews can help to guide the research community and funding organizations to strategically focus their time and resources on knowledge gaps and help identify research priorities. Dr. Eng also developed the Graded Repetitive Arm Supplementary Program (GRASP) which is a novel treatment model comprised of self-administered exercises to improve arm recovery in sub-acute stroke. GRASP is now standard of care in all stroke rehabilitation centres in BC. In 2010, the Canadian Stroke Guidelines were revised to recommend an upper extremity homework program as a result of Dr. Eng’s work. Dr. Eng recently completed a systematic review on what people with SCI identify as the most important issues. This information is important for guiding health care and research activities. Yes, please take a look at Dr. Eng’s website for details. Dr. Eng is always open to new students, and her students come from a variety of disciplines (rehabilitation, kinesiology, neuroscience, engineering). Please contact Dr. Eng with inquiries. Dr. Eng talks about the accessibility of her Graded Repetitive Arm Supplementary Program (GRASP) and the need for quick knowledge translation from the researchers to the public. Obembe, AO, Simpson, LA, Sakakibara, BM, Eng, JJ. 2019. Healthcare utilization after stroke in Canada- a population based study.. BMC Health Serv Res. doi: 10.1186/s12913-019-4020-6. Falck, RS et al.. 2019. Sleep and cognitive function in chronic stroke: A comparative cross-sectional study.. Sleep. doi: 10.1093/sleep/zsz040. Imam, B, Miller, WC, Finlayson, HC, Eng, JJ, Jarus, T. 2019. 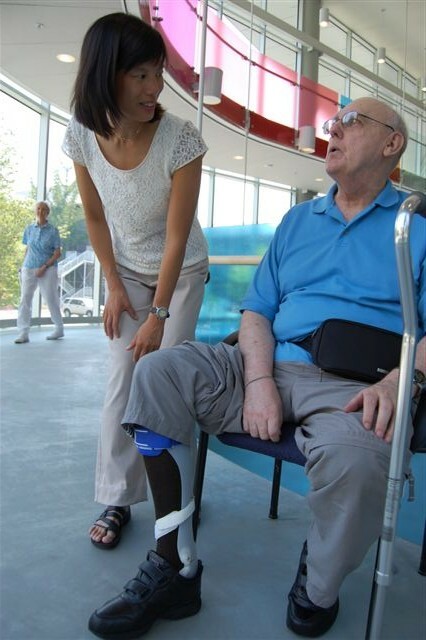 Lower Limb Prosthetic Rehabilitation in Canada: A Survey Study.. Physiother Can. doi: 10.3138/ptc.2017-39. Bird, ML et al.. 2019. Building a Bridge to the Community: An Integrated Knowledge Translation Approach to Improving Participation in Community-Based Exercise for People After Stroke.. Phys Ther. doi: 10.1093/ptj/pzy146.